Located right in the heart of Crypto Valley Zug and well-integrated in this vibrating ecosystem, we provide full-service marketing & branding support highly specialized for the needs of startup companies. We help you to develop and grow your business from day one. You`re focused on building next big tech company. Leave marketing to your trusted partners. We structured our offering to make sure that all your business, marketing and product design needs are covered. When working with us you will have a feeling that you have your CMO just next door! 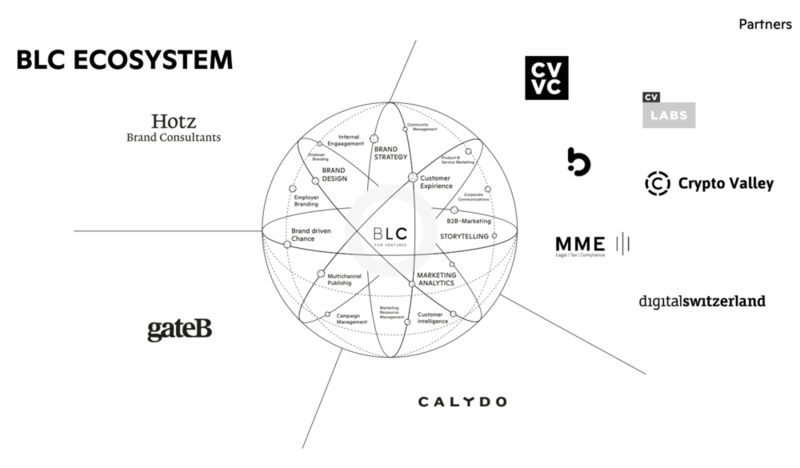 The Brand Leadership Circle is an ecosystem for brand-oriented business transformation. Over 150 specialists pool their competences in a new approach. Together they support their customers in building great, unique companies.